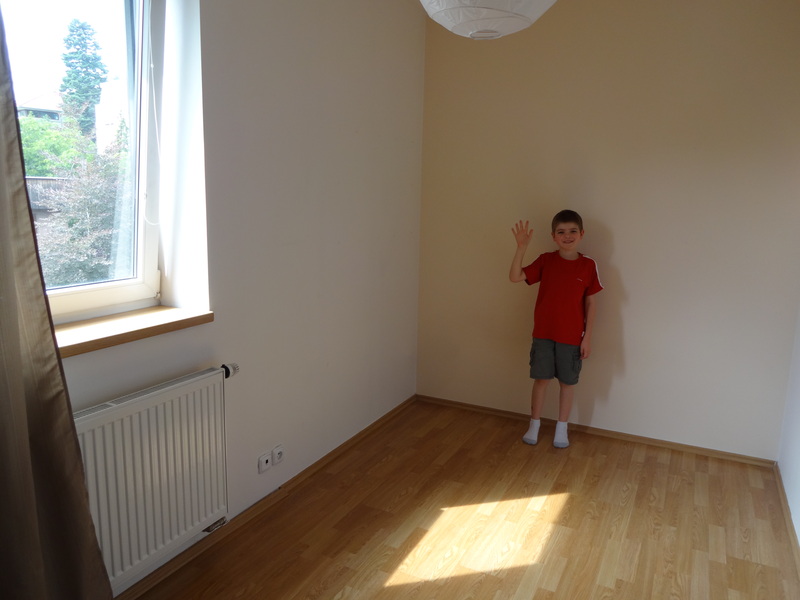 We left Prague two days ago, after three wonderful years here as expats. Global Nomad Family is doing what our name says…we are picking up and moving. For the next five months, we will be traveling…with no home base until January 2015. Where will we be moving? Follow along, and you’ll find out! Leaving Prague has been. really. DIFFICULT. I have really loved living here. 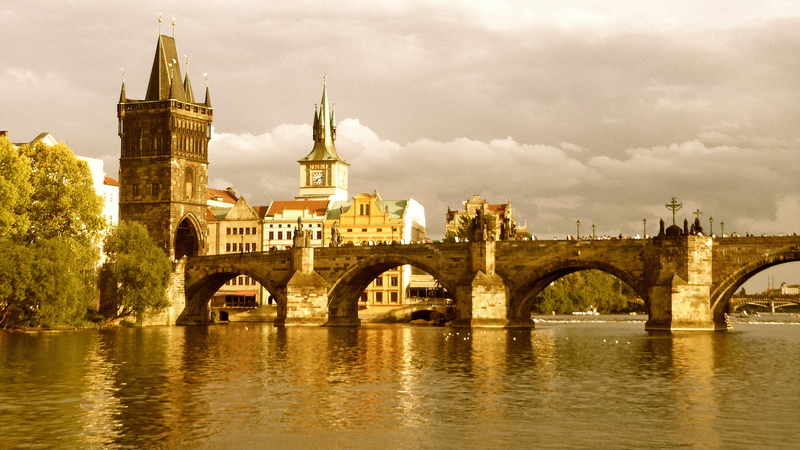 People save up their money to Prague for a vacation. The city is flooded with tourists year round. We had the amazing privilege of living in this beautiful city. For example, this is my view as I take the tram to the dentist! However, most of all, it will be the people and the friendships that I will miss the most. We have been blessed to develop friendships with Czechs and expats who are really fascinating people. We will miss Riverside School: the teachers, the staff, the students and our fellow parents. If you are moving to Prague with kids, do yourself and your kids a favor and enroll them in Riverside School. It’s truly a special place with outstanding teachers and staff, great kids from dozens of different countries, and a wonderful community of parents where all feel welcome. 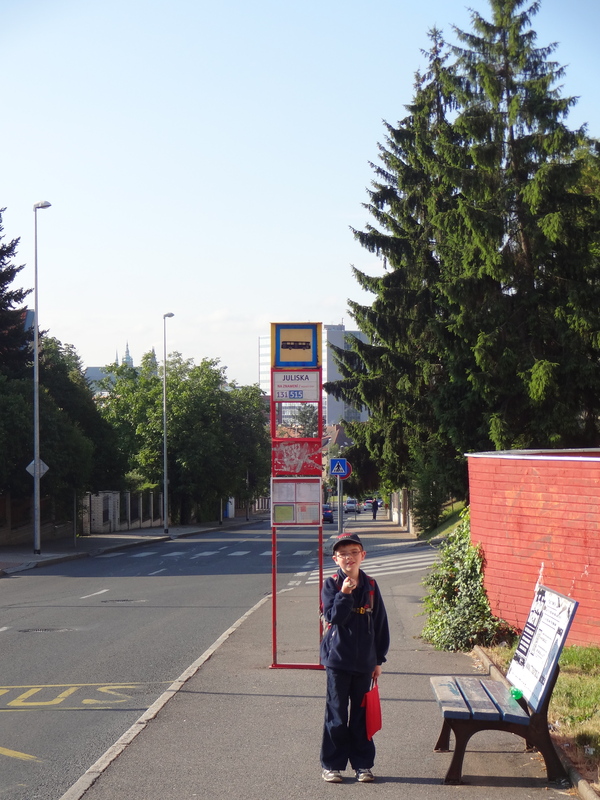 Nate waiting for the bus on his last day of school. I was choking back the tears! Notice the castle in the background. June was an an extremely difficult month for me. It was a month of good-byes. The reality of leaving hit hard. I was absolutely dreading June 26th, the last day of school. 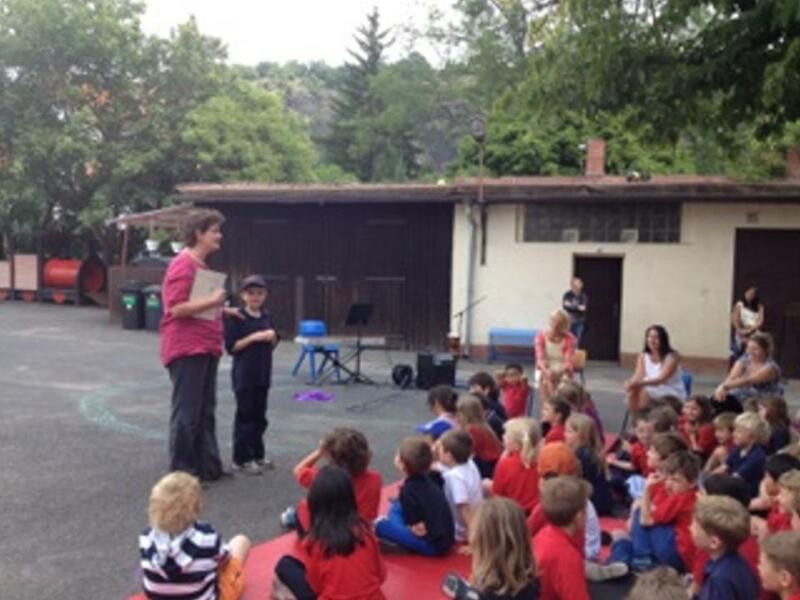 It’s always a half day, with an end of the year assembly in which each child who is leaving is called up to the front by their teachers; the teachers tell why the child will be missed, and the child is given a class-made good-bye gift. The moms sit in the back with dark sunglasses on and get all weepy…even when it’s not their child leaving! Expat kids have to move often due to changes in their parents’ work circumstances, and this ceremony is a really healthy way to give the leaving children closure. It’s also good for the children who aren’t leaving as it gives them a way to say good-bye to classmates. However, I’ve always dreaded the day that Nate would be one of those kids up there, being the one said good-bye to. It was really, really hard for me. I was also afraid of how Nate would do…would that be the moment he’d realize the finality of the fact that we were leaving, never to return as anything more than visitors? Would he burst into tears like a little boy did last year when he was called up there? The last day assembly. 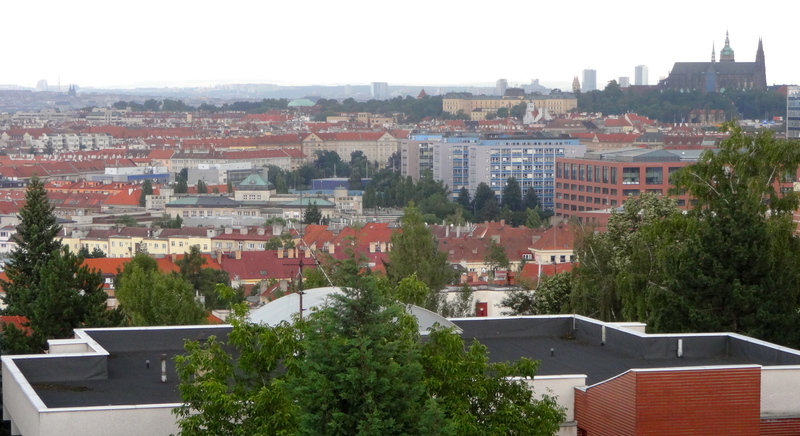 This is the moment I had been dreading ever since we made the decision to leave Prague. Thankfully, Nate was completely fine! He sailed through it with smiles, and even spotted me in the back and gave me a big thumbs up! He is such an amazing kid; so flexible, adaptable, and excited for new adventures. He’s still at the age where we are his life and he trusts us completely. Friends haven’t yet usurped the most important place in his heart. We’ll enjoy that #1 spot for as long as possible! 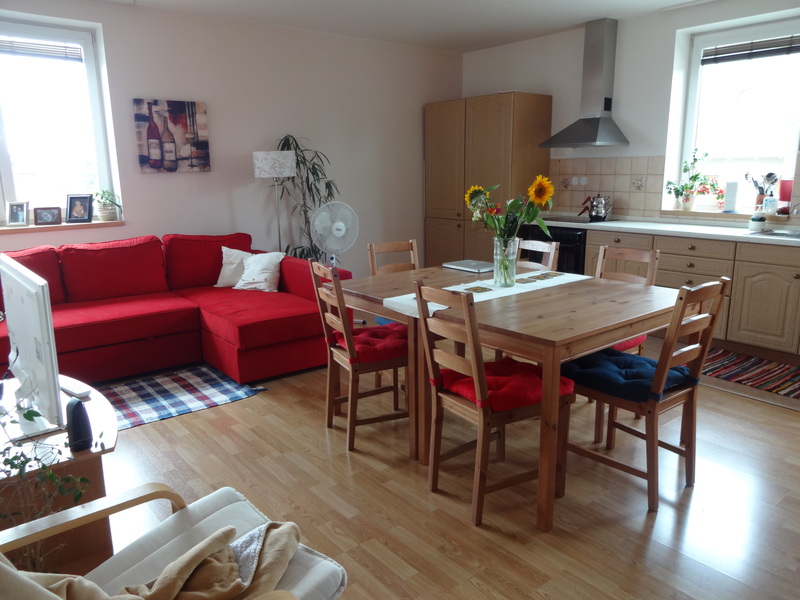 I’ll also miss our wonderful flat, up on a hill overlooking the city. We LOVED this view out of our bedroom and guest room windows. We are so gonna miss it! Sunrise, from our window. That’s the Crown Plaza Hotel, built in the 50’s during Communist times. We initially came on a two year teaching contract. We arrived with just six suitcases and three carry-ons. We found this flat on our fourth day of looking, and immediately knew it was the one for us. 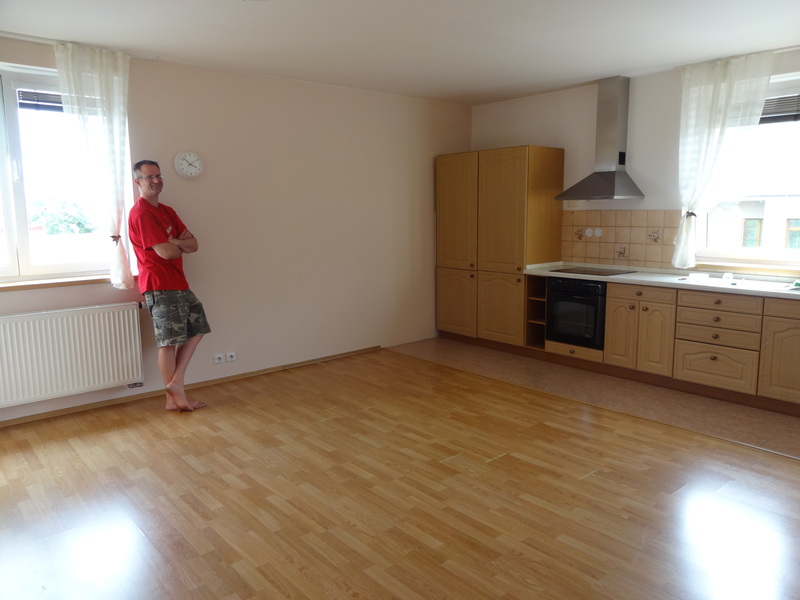 It was completely unfurnished, so we had to start from scratch. 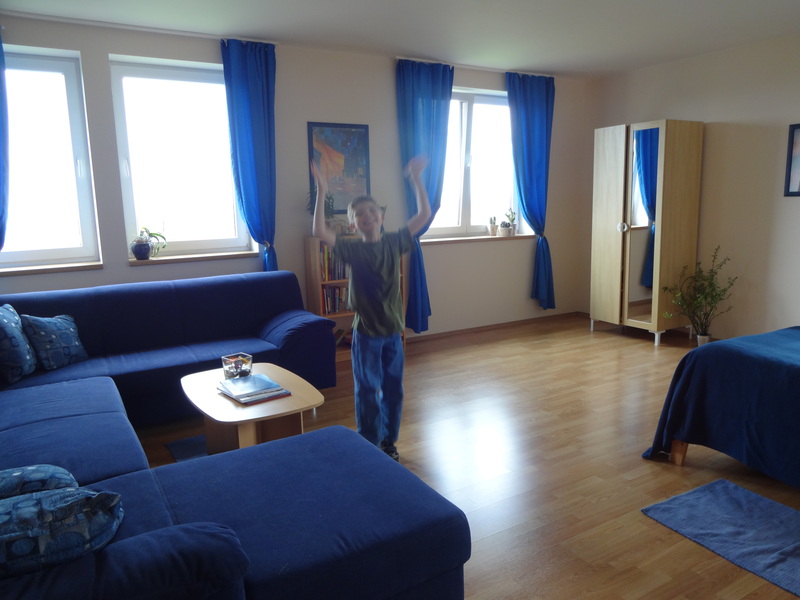 As most expat teachers do, we went to Ikea and purchased the least expensive furniture. We didn’t want to invest in “the best” as we didn’t know if we’d be leaving in two years. It was fun to start over; two years turned into three, and little by little our empty flat became a home. Lots of good meals and fellowship around that table. Good-bye living room and kitchen! 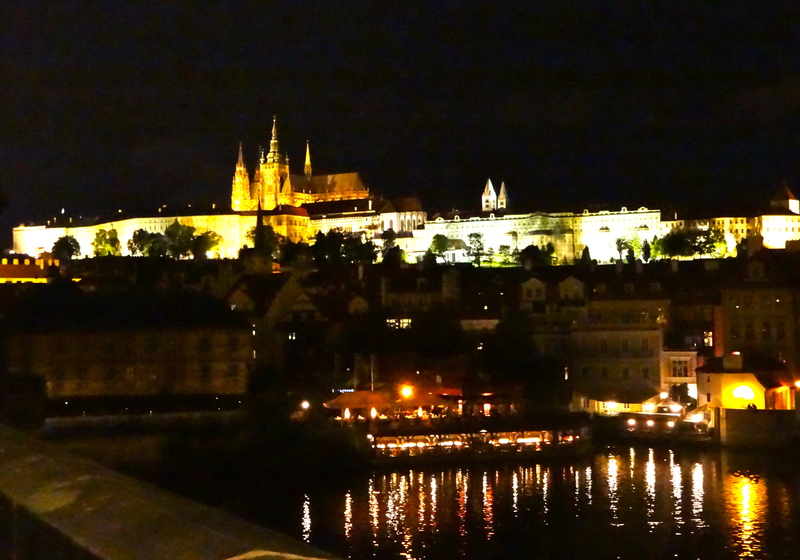 We have had more than a hundred guests during our three years in Prague! We love hosting people. We’ve had lots of friends, family, and even people we didn’t know come to stay with us. We gave guests the biggest room with the spectacular view of the city! Now the blue sofa is in the Riverside Boys’ Accomodation! Better to dance than to cry! 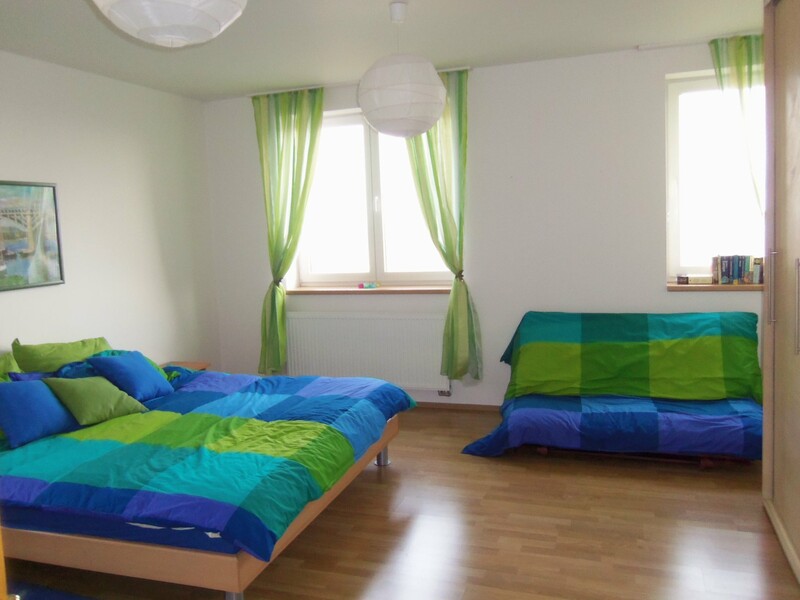 This was our room… European beds are always low to the ground, and the duvet sits on top like icing on a cake. Lijdmila helped me clean the flat. We would have been cleaning ’til the wee hours without her help! 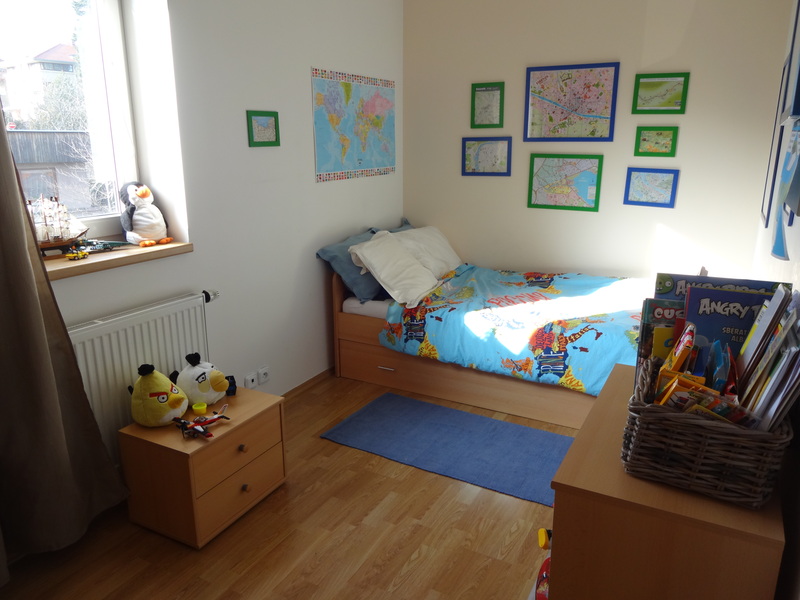 The maps on his wall are from places we visited during our school holidays. They are the only personal decoration items we are taking to our next living destination! July was a very busy month of packing up, selling all of our furniture and household goods, and working on a seemingly endless list of things to do. It was stressful! I like unpacking and nesting, but I don’t like packing and moving. Finally, it was all done on July 30th. 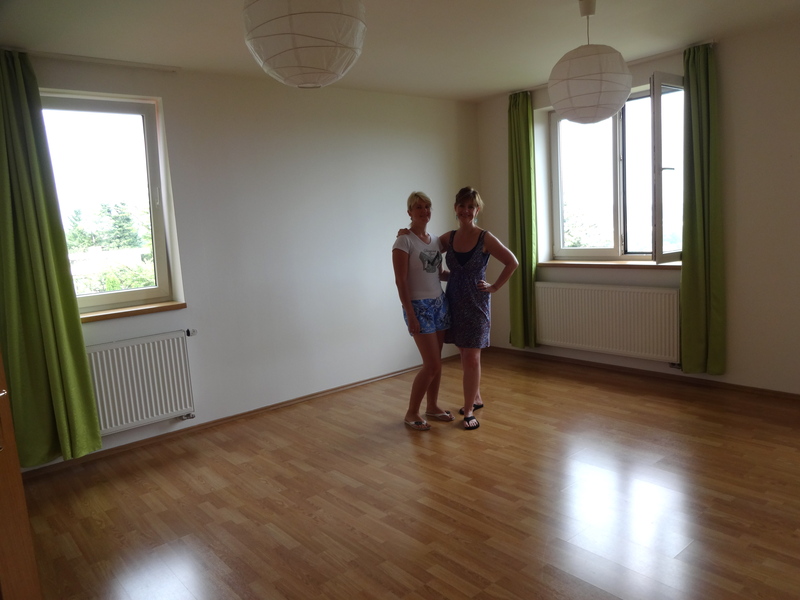 We left it spotlessly clean, thanks to help from Lijdmila…and completely devoid of all evidence of the love, life and laughter that was ours here, in this lovely home. We were so tired after cleaning and packing all day! The built in closet was the only place to sit down besides the floor. Prague will forever be in our memories: our amazing three years in this beautiful city, our precious friends, Riverside School, and our home on top of the hill. 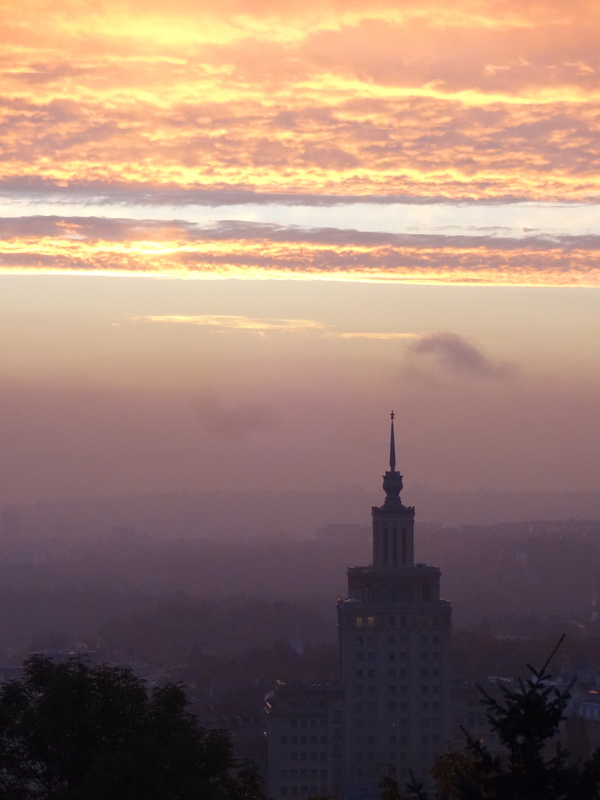 Good-bye, Prague! You will ALWAYS have a special place in our hearts!